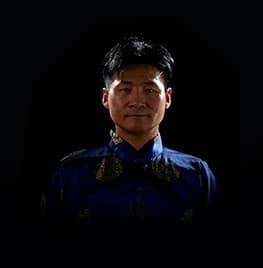 Master Zhen Hua Yang has been involved in human movement since a young child. His first teachers were the martial arts, and energy masters of Shaolin and WuDang Temples. His teachers from these temples were of a very high skill level. They included Hai Deng from Shaolin, who was most famous for his one-finger stand. His teacher from WuDang was an elderly Taoist monk who shared with him knowledge about ying/yang balance, Qi energy production, well-being for life and human longevity. As Master Yang started to get older, his father and grandfather passed onto him their 400 year old family martial arts system, with this too being closely guarded and not available to the general public.